It seems like everyone has a newsletter these days. In fact, you probably stumble across newsletter sign-up forms on most sites you visit. While the many invitations can seem overwhelming, there’s a reason so many sites want your email address. As it turns out, running a newsletter is a smart move for many reasons. It can help you increase brand awareness, improve user engagement, and even generate more sales. The best part is that creating and sending a newsletter doesn’t have to be difficult or time-consuming. 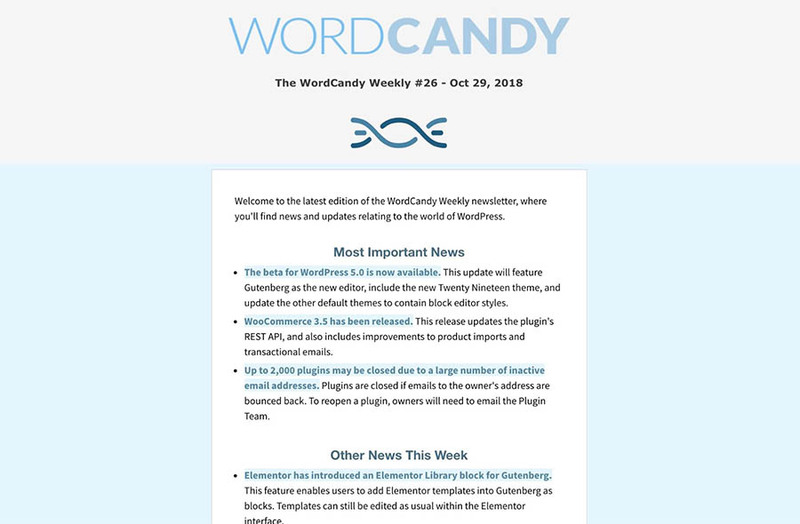 In this article, we’ll take a closer look at the benefits of running a newsletter for your website, using our own The WordCandy Weekly as an example. We’ll also discuss what you can do with your newsletter, before showing you the basics of how to set one up for yourself. Let’s get to work! Chances are that you’re pretty familiar with newsletters. They’ve become as much a part of everyday internet life as blogs or cat memes. In fact, you probably receive at least a few of these messages in your inbox on a weekly or daily basis. When something becomes that mundane, you can easily to forget why it became so popular in the first place. You might even expect that newsletters aren’t as useful as they once were. However, the reality is that they’ve seen something of a resurgence in recent years. 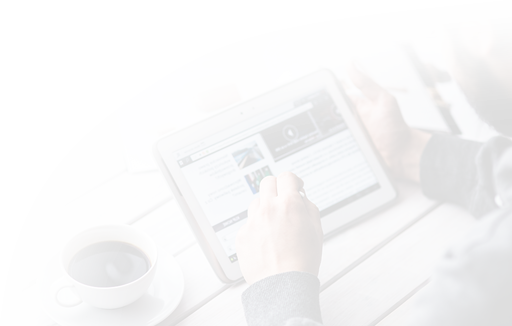 One of the main reasons for their continuing popularity is that newsletters offer a straightforward way to digest news and updates, without needing to seek out the information on social media. In addition, mobile web usage is becoming increasingly popular. Among other things, this means people are more likely to check their emails on the go, making newsletters more useful than ever. Of course, we should clarify that while the term ‘newsletter’ implies that these messages are used to communicate news, that’s not their only application. You can also use your newsletter to promote products and services, let people know about upcoming events, solicit feedback, and much more. You can even create automated emails that trigger at specific times or are sent when a user performs a particular action (more on this later). The point is that newsletters offer you a lot of freedom and can be applied to the specific needs of your business. Before we discuss how to start one up, let’s dig deeper into how they can benefit you. Naturally, getting a newsletter off the ground will require you to invest a certain degree of time and effort. As such, it will need to provide benefits to offset the costs. With that in mind, let’s take a look at some of the ways a newsletter can benefit you and your business. Help you increase traffic and engagement. If you use your newsletter to highlight your products or content, you can raise awareness and interest in what you’re offering. This also helps your audience stay on top of everything you do. Let you control your message. You can inform users directly about news and other valuable information right away. As such, your existing audience will hear everything straight from you, and you’ll have control over how it’s presented. Enable you to connect directly with your users. Newsletters are a perfect tool for creating a personal connection with your users since you can address them directly. You can also segment your audience to create email campaigns that are specifically tailored to a smaller part of your overall customer base. Generate more conversions. Since a newsletter enables you to raise awareness and publicize your offerings, it often leads to more conversions and even increased revenue. As we mentioned earlier, how you decide to use your newsletter will depend primarily on your goals and business model. For example, an e-commerce business might leverage emails to highlight products, publicize deals, and even provide offers that are unique to subscribers. However, you can also use your newsletter more holistically. It doesn’t even have to be directly (or even indirectly) related to your actual business. Instead, you can provide general information that’s of interest to your audience, offering a service rather than engaging in direct marketing. 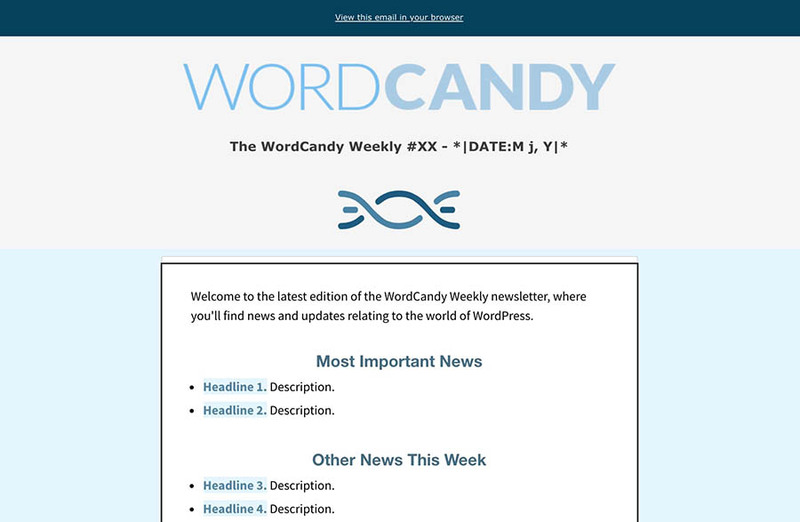 One example of this in action is is our own newsletter: The WordCandy Weekly. This is a regular news roundup of the latest stories from the WordPress community. At WordCandy, we provide content solutions for WordPress businesses so this resource is obviously relevant to our company. At the same time, it’s not directly tied to the work we produce. Instead, our intention with this newsletter is to provide value to our existing clients and readers. By doing that, we’ve been able to help our subscribers stay up-to-date with news that matters to them. At the same time, we can raise awareness of our business, without needing to spend time and money on marketing or compromising the value of the product. In other words, this is a type of promotion that benefits all parties. By using a newsletter in this way, you can better establish yourself as a knowledgeable part of your niche or community. You can also grow your brand awareness, all while providing a genuinely useful service to your mailing list. This doesn’t mean there’s anything wrong with using your newsletter for direct promotion, of course. Which route you decide to use will depend largely on your business, target market, and goals. An excellent starting point is to study newsletters created by businesses and websites that are similar to yours, and see if there’s a particular niche or need that’s currently unfulfilled. Once you’ve settled on a concept for your newsletter and know what you want it to focus on, it’s time to start putting it together. If you’re worried that this means manually sending hundreds or thousands of emails from your personal inbox, you’ll be pleased to hear that the actual process is much more painless. In fact, there are plenty of solutions that can help you create and manage your newsletter. If you have a WordPress site, you can even do this straight from your admin dashboard by using a plugin like Jackmail. You can use this plugin to incorporate your newsletter directly into your site. Jackmail even makes it possible to generate automatic emails at predetermined times, such as whenever you publish a new post. It also includes an email builder, enabling you to create gorgeous templates for your messages with ease. Another popular solution, and the one we use for our own newsletter, is Mailchimp. 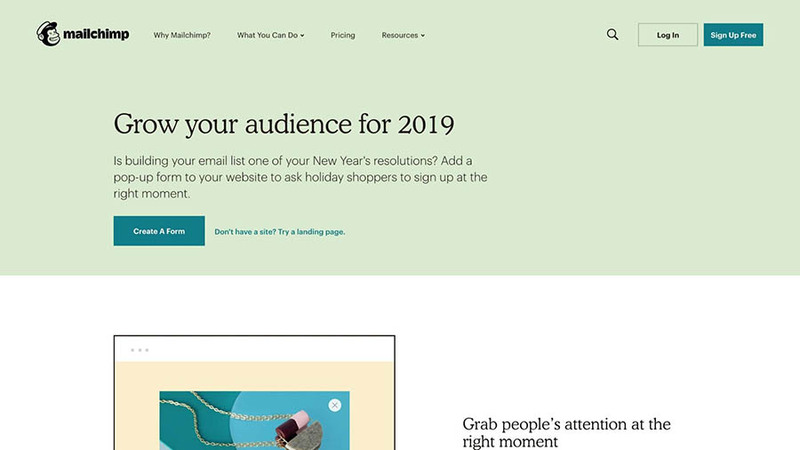 Mailchimp is a perfect newsletter solution for almost any application; it’s easy to use while providing a lot of opportunities to customize your email campaigns. It offers many key features, along with various ways that you can integrate your Mailchimp account with other platforms. Like Jackmail, it also includes an intuitive email builder, along with a series of pre-made templates you can use. This particular solution also has a robust free plan, which enables you to gather up to 2,000 subscribers and send up to 12,000 emails every month. This should be more than enough to begin with, and when your list start to grow, you can always upgrade to a premium plan. Which solution you decide to use will once again depend on your preferences, as well as what specific features you need. However, it’s vital to remember that whether your newsletter becomes a success will depend primarily on the quality of its content. After choosing an email marketing solution and putting in place a general plan for your newsletter, you’ll just need to ensure that you take advantage of its full potential. 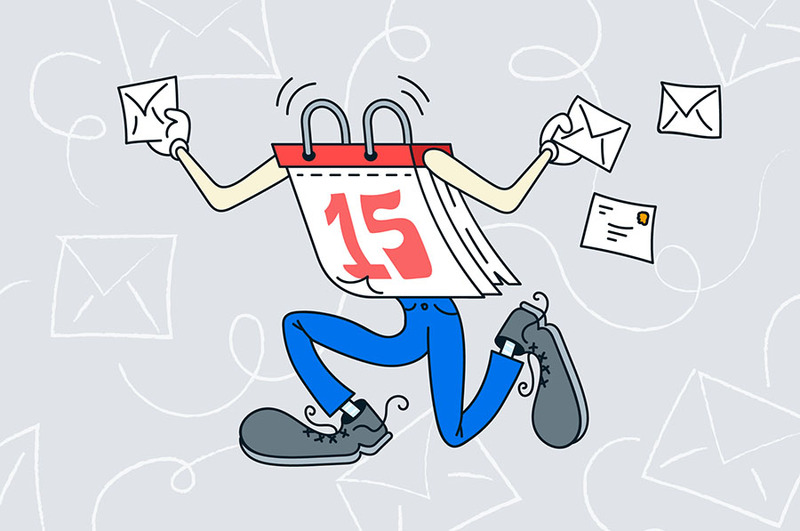 To give you a running start, here are some tips that will help you optimize your newsletter. One of the most important (and fun) aspects of creating your newsletter is putting together your template. As you might expect, this template will be the basis for your newsletter design. This way you can keep each message’s look the same while adding new content each time. For example, the template we use for our weekly newsletters looks like this. This makes it easy for us to add new content, subject lines, and preheaders each week without needing to recreate the look and layout each time. Building this template was also quite effortless. Almost all newsletter solutions will offer you both layouts and themes you can use as a basis for your campaigns. For example, Mailchimp offers various design options for free. One thing you’ll notice about these themes is that, while they feature very different looks and are designed for various purposes, they almost all prioritize simplicity. This is a key consideration when it comes time to design your template. While making your emails look compelling is necessary, what matters more is that the design doesn’t overwhelm or bury the actual content. You can see this philosophy applied in our newsletter as well, as we opted for a straightforward, accessible approach. We decided to only use a single image, as our primary goal is to highlight the featured news items. However, images can serve a variety of useful purposes, especially if you’re using your campaigns to highlight products or if your newsletter will have a more commercial focus. In the end, your template’s design should serve your ultimate goals. It’s also a smart idea to design with accessibility in mind. This includes making sure that color combinations and fonts are easy to read. What’s more, many email marketing solutions will let you send a version of your newsletter that strips out all images and styling. This is called a plain-text campaign. Mailchimp, like many similar tools, automatically generates a plain-text campaign and sends it to subscribers who have opted not to receive the standard HTML version of your emails. Once you’ve designed your template, it’s always critical to test it before going live. A simple way of doing this is by sending out test emails and getting feedback from your coworkers, friends, and so on. If you have created multiple templates, you can also perform A/B testing to see which one is most effective. To make the most out of your newsletter, you should aim to do as little work as possible. This may sound counterintuitive, but the point is that it’s vital to make your campaigns efficient. After all, consider how much time it would take to manually write and send every single email if you had to construct it all from scratch each time. Fortunately, any quality email marketing service will provide you with automation options. There are several ways you can use these to your advantage, but let’s look at a few of the most helpful strategies. First and foremost, you can set up your campaign to send full emails automatically, at specific trigger points. Jackmail refers to this as creating an automation or an automated workflow. A common example of this is to send a welcome email to new users, which triggers when they sign up to your site. However, you can get even more creative with this option. For instance, you could send a birthday congratulation email on each subscriber’s birthday and even include a coupon code as a gift. This adds a personal element to your newsletters. To elaborate further on that point, you should also aim to make sure every email feels like it’s directed at the recipient. A good way to achieve this is by using variables, which will be dynamically replaced with relevant information. In Mailchimp, these are referred to as Merge Tags, and you can use them in a variety of ways. However, the system will automatically add the current date when the newsletter is generated. An even better use for merge tags is to display information that’s specific to each recipient. For example, if you collected their names during the registration process, you can add the *|FNAME|* tag to display each person’s first name in their email. This helps make each message seem less impersonal, even if they’re automated. In turn, this can help increase the number of clicks on your newsletters. As your newsletter grows, it becomes crucial that you don’t get complacent. In fact, this is where your job really begins, as you’ll need to make sure that your campaigns are (and remain) effective. To do that, you’ll have to study and analyze your email analytics. Click Through Rate (CTR): This shows you how many recipients clicked on at least one link on a specific email. Open rate: This is a percentage value displaying how many recipients opened your email at least once. Subscriber growth: This lets you know how many new users have subscribed to your newsletter. Once you have this information, which should be provided by your email marketing solution, you can start to improve metrics that are sub-par. For example, you may find that your links are not clearly defined, making them less likely to be clicked on. Or perhaps your subject lines aren’t engaging enough, leading people to ignore your emails. If your subscriber count has plateaued, on the other hand, you might consider marketing your newsletter more on your website and social media. Finally, an effective way to get better results from your campaigns is to tailor them to a specific portion of your audience. This is known as audience segmentation, which means focusing unique campaigns on the users who most likely to be interested in them. Using segmentation in your newsletters enables you to raise your CTR and conversions, as subscribers will receive emails that are a better match to their demographics and interests. You might think that most people’s inboxes are too stuffed to fit in another newsletter, but you’d be mistaken. There’s always room for one more subscription, especially if it’s well-written, engaging, and provides genuine value to the reader. The best part is that sending out email campaigns will benefit both you and your subscribers.